Living Sq. Ft. : 1685 s.f. Total Sq. Ft. : 2271 s.f. 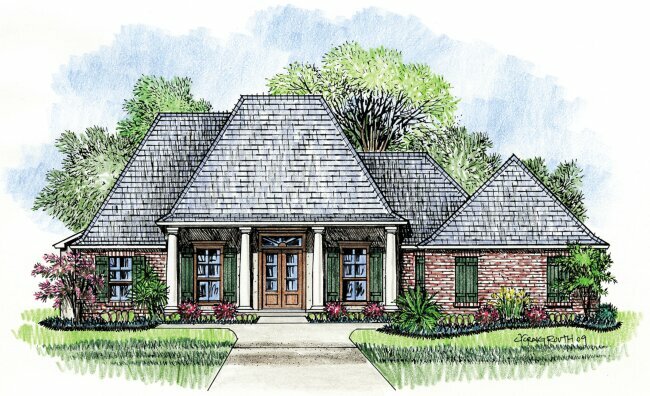 A Louisiana Zero Lot house plan is a garden home with a forward facing garage and nice back porch. 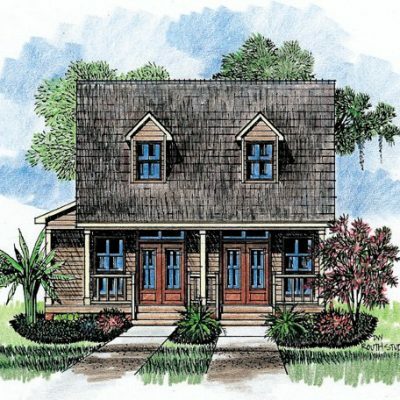 This plan is at home on a zero lot or a standard lot. 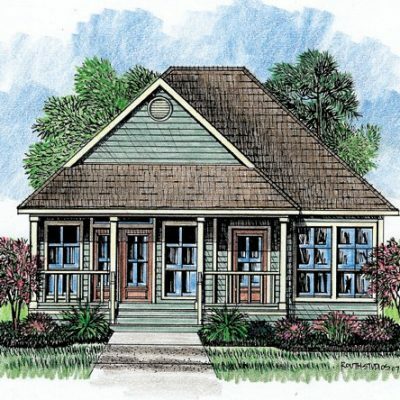 You will find 3 bedrooms in the house plan for your family or guests to behold. The master is at the back left corner of the plan and has a relaxing whirlpool tub in the bath and a good sized walk in closet. 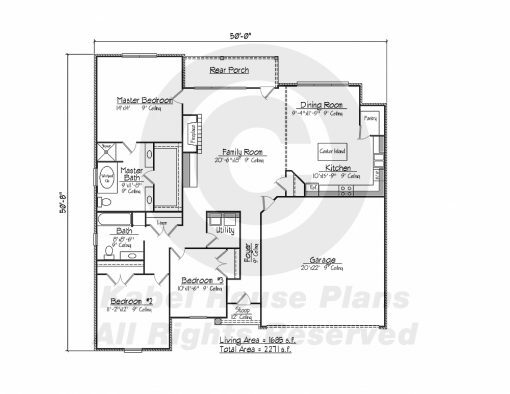 The other two rooms are located at the front left corner of the design and share a common bathroom. 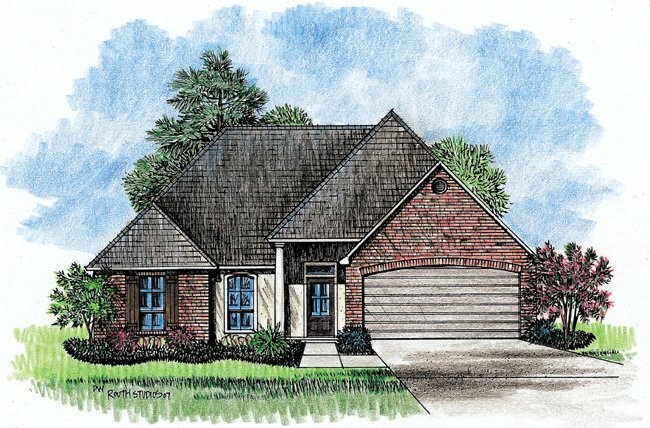 In your family room, you will enjoy the fireplace with custom built-ins. There is a great kitchen featuring a center island to give you plenty of room to put together your next feast. Adjacent to the kitchen is the dining room that has a large window overlooking the rear of your lot. 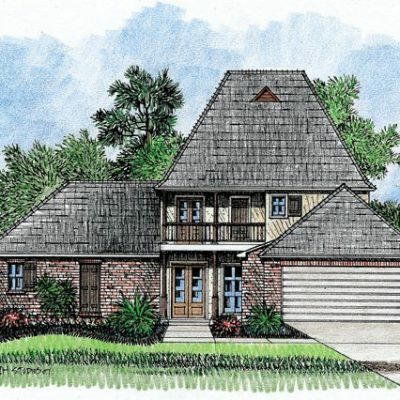 Louisiana zero lot house plans make great homes, and make sure to check out all our online designs or come check out our vast collection in our Denham Springs, LA house plans showroom.